Abstract: In 2009, ZOA, the international non-governmental organisation founded in The Netherlands, teamed up with Care Netherlands, Save the Children Netherlands and HealthNet TPO to set up the Dutch Consortium for Rehabilitation (DCR). This collaborative venture focuses on the recovery of (post-) conflict zones in Africa through infrastructure reconstruction, strengthening the social coherence of communities and creating employment. DCR has established the Pamoja project to implement its plans in six countries and created an internal unit for consortium coordination. The author was assigned the role of a coordinator and shares his brokering experiences in an environment of “ambiguity around the role of consortium coordination”. Between 2000 and 2010, although the average official development assistance (ODA) per capita to fragile states grew by half in constant terms , the challenges of reducing poverty and achieving the Millennium Development Goals in these countries still remained daunting in 2011 . These states are home to nearly 30 per cent of the world’s poor people. During the same period the Dutch government launched a grant framework – the ‘Co-financing System’ (MFS) – through its Ministry of Foreign Affairs for Dutch Civil Society Organisations (CSOs) working in development cooperation. This grant framework was designed to assist both broad-based and theme-based Dutch CSOs supporting either direct poverty reduction, civil-society building or working to influence policy, processes and structures that perpetuate or exacerbate poverty and inequality . In 2009, ZOA, the Dutch international NGO, Care Netherlands, Save the Children Netherlands and HealthNet TPO (HNTPO) set up a collaborative venture called “Dutch Consortium for Rehabilitation” to contribute to stabilisation and early development in the complex conflict-exposed environments in Burundi, the DR Congo, Liberia, Uganda, Sudan and South Sudan . They designed a multi-sectoral and multi-year programme called “Pamoja”, a Swahili word that means “together” in English. Since early 2009, the Consortium members have explored similarities in their visions, mandates, sectoral experience, complementarities and added value of joint intervention. Facilitated by an external consultant, they analysed the feasibility of the cooperation within the MFS programme. This process gave the Consortium members the possibility to strengthen their relationships, their cooperation processes and time to address the weaknesses and points for attention identified in the assessments. During the fine-tuning of Pamoja, DCR members set up an internal body to help them coordinate their consortium and implement their partnership. This coordination had to be managed by the lead organisation in each country and to act as an external actor not directly involved in DCR collaboration structure. For instance, in DR Congo, the coordination is under ZOA management, which is the lead organisation in the country. The approach to coordination taken by the DCR is responsible for the results and added value of this collaboration. We know from studies elsewhere that partnerships face several obstacles: they are difficult to set up and maintain, they require political will and resources, and results are not likely to come overnight . Many studies have been carried out which demonstrate that a partnership is a valuable instrument or “organisational” model to overcome weaknesses of the policy and governance framework. In the case of the DCR, this is particularly relevant – the way the consortium is ‘living’ their collaboration. I joined the DCR as country coordinator at an advanced stage in the partnering process; the programme objectives, the management structure, results and collaboration policy were already set up. According to the Partnering Cycle, it was somewhere in the middle of the “Managing & Maintaining phase” . My new appointment happened against a background where almost all staff involved on the frontline of Pamoja implementation were relatively new and joined the project at least one month after me; and where DCR member organisations and their staff came from a long period of handling emergency situations but were now required to address post-conflict community rehabilitation in a complex partnership. In this situation, a difference emerged between the motivations and results expected by the DCR member organisations and their staff. The first thing I did was to reflect on “what to do now” within what I saw as a multi-layered complex situation. On the one hand, I had to meet my employer’s expectation of me to get all actors involved in the process to achieve the added value of what they promised to the donor and on the other hand, I had to work with four international NGOs, who wanted to keep their respective identities in the process. The expectation of each organisation involved in DCR and its staff for the coordinator was diverse and often contradictory. To be effective, brokers need clarity about their remit and responsibilities. It is, therefore, important that the role of broker is allocated wisely and that those with whom the broker will be working understand the extent (and boundaries) of the brokering role . There was ambiguity in my role as a coordinator and I had many difficulties to understand what I was expected to do for DCR members and Pamoja. In Pamoja, the kind of collaboration delivered through a complex partnership was the first experience for every participant. It was my first experience too in a job like this. I had taken time to read and understand what I had committed myself to do for the DCR. Proposal, arrangements and agreements between DCR members and results framework convinced me to work with enthusiasm. It was a new experience for me. My first action was to organise a workshop with key staff of the four member organisations in the country. We discussed what must be done to start activities in the field. Everybody was receptive to the idea of a workshop to launch the in-country programme. We convened in the intervention area and on the synergy of intervention as well. Several other aspects were discussed, in particular, the role of each member and its intervention domain, the staff accountability and the lines of communication. I learned that when someone works as a partnership broker, his/her efficiency depends on when he/she joins the collaboration set up. The later he/she joins the process, the more challenging the work becomes. I do not see this as an excuse to give up. In my case, I was recruited to support four very large NGOs to work together. Everything seemed to unite them but much between them also divided them. In my mind, they were giants and behemoths who were ‘difficult’ and I had to figure out what my role as an intermediate mediator would be to manage the diversity of the partners and create the opportunities for collaboration around Pamoja’s goals. Save the Children has an established track record in supporting primary education and child protection whereas HNTPO specialises in health support. ZOA has proven experience in supporting livelihoods of people affected by conflict or disaster, and Care has deep experience in household economy (VSLA and IGA) and community governance. However, the four organisations do not have a substantive background in complex partnerships in Congo and some other African countries. They have worked with local NGO partners in the type of partnerships which were almost always transactional. Addressing a major programme together was a great challenge for both member organisations involved in the coordination and led to the recognition that close attention had to be paid to what we wanted to achieve together. I experienced several challenges in making effective collaboration work between four very strong organisations. Top of the list was the lack of flexibility at all levels. At the programmatic level, I found there were many differences in programmatic approaches. This remains one of the biggest challenges because each member has its own programmatic approach and shows reluctance to adapt it (or even a part of it) to the new framework of collaboration. At the administration level, there is a wide difference in financial and administrative procedures. In an evaluation study requested by the DCR into the way of working in the consortium, the evaluators found that many procedures (such as safety procedures, reporting schedules and quality requirements) have not been harmonised. Despite the attempts by DCR coordinators to pull the members and partners together and to harmonise procedures on a practical level, the collaboration within DCR often proves complex in practice. Other issues raised which have an impact on partnering effectiveness include the structure of DCR (it is considered to be too complicated and time consuming to work effectively); the need to balance individual objectives and DCR interests between DCR member organisations in the Netherlands and in the countries; and the need to address organisational interests versus the primacy of DCR interests . At the implementation or field level, there are many comfort zones relating to how activities are delivered in the field. Most of the staff involved in the partnership and working in the field came from emergency projects. They feel comfortable with delivering project outputs and results and put less focus on outcomes. As the coordinator, my colleagues expected me to fix the types of challenges outlined above. It felt as if I was being asked to be a magician and perform a miracle to change all their differences in a good collaborative set up. There was a clear mismatch between their expectations and the working relationship and role I felt I was hired to do. It appeared to be one-sided where I was expected to anticipate and fix everything but they could let their part of the contract slide. This was a big frustration. Once I understood their expectation, I decided to work with a clear purpose of letting them understand the reason why we had to work together and the benefits to be had from adapting to the change brought about by collaboration. In DR Congo, DCR members spent two years to really understand why they were together. For me this was a success as a coordinator. I am an alumnus of the Partnership Brokers Association’s Level 1 course. That allowed me to adopt another sight on my role between the four ‘giants’. I learned from the experience of other participants that one of the most important roles when people or organisations decide to work in partnership collaboration is the “partnership broker”. Very often people think that partnership is a panacea for delivering complex or multi-sectorial projects or for accountability and inclusion. Still others put forward an argument that “working in partnership” facilitates achievement of concrete results. Through DCR, I learned that working in partnership provides great added value when these are properly addressed. Partnership was considered much more seriously at the beginning in the DCR. Somewhere during the process, many staff involved left the process but DCR organisation members did not focus on an effective handover. When I joined the consortium, I was new in the process as were more than three-quarters of my colleagues. The PBA course was a boost to what I was actually doing already intuitively and unknowingly as a partnership broker. The skills I learned have been helping me to carefully focus on my role and its added value for the benefit of the consortium. I experienced my position more as an artist than as a scientist. The PBA course helped me to understand that natural ability always requires additional scientific skills. I now feel I can use both considerations in my job. I am proud to work as a partnership broker because I let people who do not really want to work together because of their differences to work together. They have clear differences in the procedures they use and a very rigid communication structure which can be a barrier for me in helping them working together. Acting as a partnership broker, I have managed it and every day I try to influence them to live together and work together to achieve common results. It is working. Natural ability of brokering a partnership has always required both artistic and scientific approaches and the PBA course has helped me to seize this reality. There was so much ambiguity around the role of the consortium coordination where all members could not grasp its importance. My assignment in Pamoja was to coordinate the consortium. It took more energy and will to clarify my role to all and to really act as a coordinator. When people or organisations conclude that to achieve what they want, a partnership is the best way and they commit someone to broker their relationship, this broker is called to overcome the fear of failure and do their best. I have discovered that a partnership broker is someone who must use a wide range of skills. If he/she follows what they are doing and lets them do it in any old way, he/she will fail. But if he/she knows why they have decided to march together in the first place, he/she will always remind them what they have to do to achieve the reason why they gathered and why they should remain committed. The job of a partnership broker is a unique experience. To approach the position as an art or a science, the purpose is the same; gain the trust and acceptance of all involved. 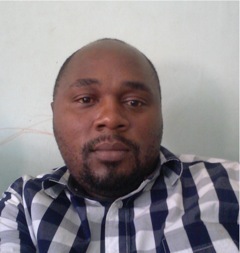 Kenze Ndamukenze has been working as a Consortium Coordinator with the Dutch Consortium for Rehabilitation since 2011. After completing his Masters degree in veterinary medicine, and prior to beginning his career in the humanitarian sector, he worked with both public and private employers. He worked for the ministry of agriculture with responsibility for animal health, as a zoo sanitarian expert and also with two official universities and one private high school as a lecturer. He joined the humanitarian sector in 2009 with “Vétérinaires Sans Frontières Suisse” (Switzerland Veterinary Without Borders) for two years. Since 2011 he has been involved in a complex partnership formed by ZOA, Save the Children, Care and HeltNet TPO. He played and continues playing a partnership broker role for this set up with which he experienced a lot of challenges in the field of brokering partnerships. Kenze is married with three children who live in Kampala (Uganda) with their mother while he is working in Lubero (DR Congo). This is due to an insecure situation in his working area. DCR; 2009; Working in fragile states, MFSII Application. Ros Tennyson, 2005, the Brokering Guidebook. The Partnering Cycle developed at The Partnering Initiative is a schematic framework showing the progression of a typical partnership over time. Helga van Kampen & Rita Dieleman ; July-September 2014; Capitalizing on the rich resource of complementing forces in DCR : Consortium review of the Dutch Consortium for Rehabilitation; NewHow.